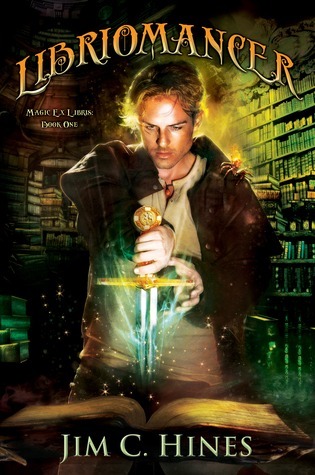 I recently read Jim C. Hines Libriomancer (after reading Meghan's review) and I loved every book geek-fueled moment. It was fun with the right amount of tension and action. I too want Isaac Vainio's job, and a pet flaming spider. I also really dig the idea of the power we geeks give to our beloved books, movies, and action figures. If you do as well, then you might want to try Michael R. Underwood's Geekomancy. Geekomancy is a little lighter and a lot snarkier than Libriomancer. Also, Ree is more of a movie geek than a book geek like Isaac. Where Hines' book follows a character already immersed in his magical world, Underwood's lead has just been thrown into hers. The magic system made sense and I liked seeing how Ree found her own power. Imagine becoming a deductive genius like Sherlock, or a kickass fighter like Buffy, just by watching a beloved episode. 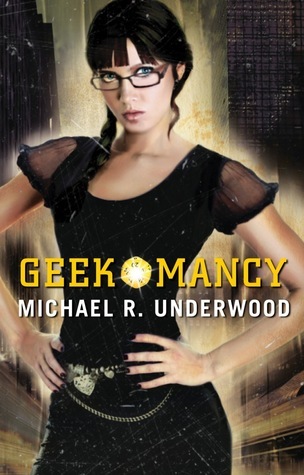 Like Libriomancer, this book is peppered with references to geek favorites. There is quite a bit of action, and no romance as of yet, but perhaps that will come in future books. I liked that this one didn't follow the traditional romance route. It leaves quite a bit open for future books, but there are no cliffhangers. Right now, the book is only available as an eBook, but if sales are strong enough there will likely be a print version. Here is the publisher's page for the book where you can find an excerpt.